Barry is a just a regular customer by the way; orders a pint and always drinks it at the same table on the same chair. Why he does this day in, day out has been lost in the mists of time. He even brings his own logs for heaven’s sake. Speaking of heaven, the family owners have their own extraordinary story. The Crosthwaite-Eyre family were once proud owners of London-based printer Eyre & Spottiswoode who were not only the King’s Printer but also the publisher of the Holy Bible no less. This was an account well worth a pretty penny, as they came to realize when the business was sold in 1987. 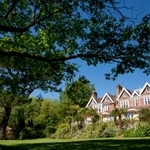 Publishing notwithstanding, the family is deeply rooted in the New Forest from owning large swathes of its land to protecting it from the clutches of developers through Oliver Crosthwaite-Eyre, a former Official Verderer of the New Forest and chairman of the New Forest National Park Authority. 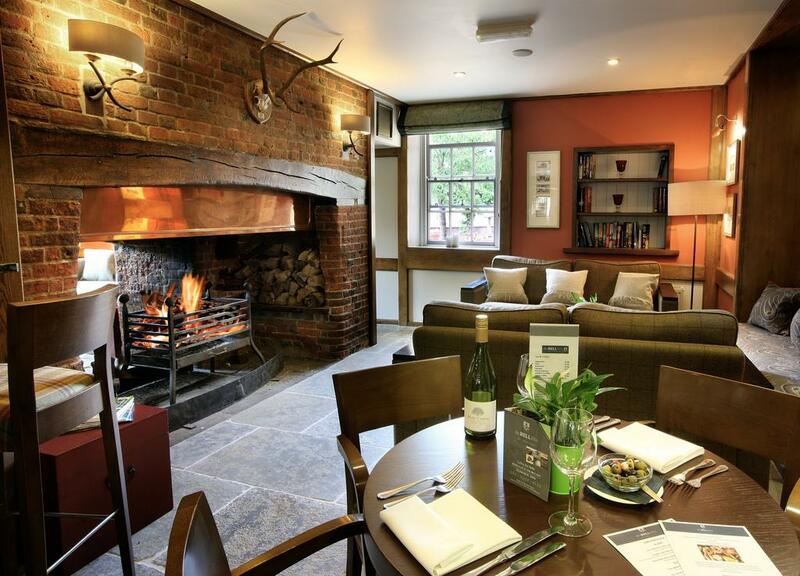 The current Bell Inn is a remarkably rustic 18th-century coaching inn complete with large flagstone floors, huge oak beams and crackling log fires. It has character literally seeping from every nook and cranny. 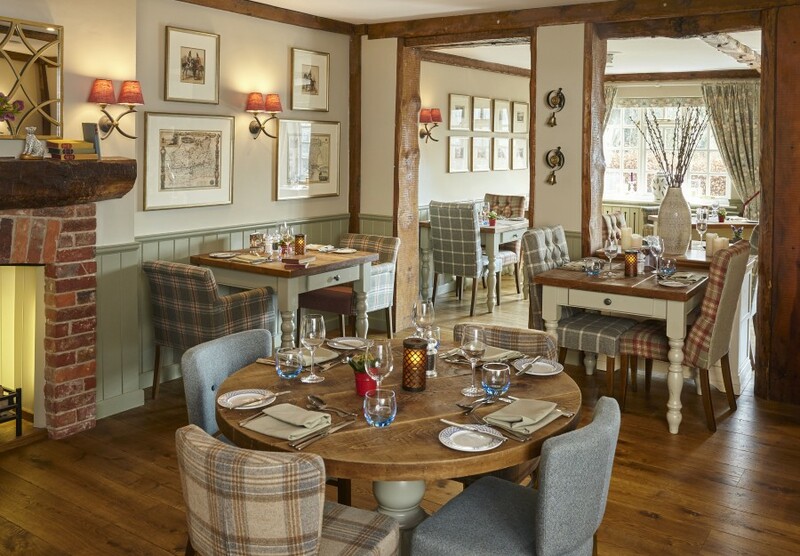 That said, there is an obvious air of refined quality in all the public rooms; plenty of settees and comfy chairs, lots of rustic designer knickknacks and, in the charming dining rooms, beautiful Harris tweed chairs and chunky farmhouse-style tables. Upstairs, the 28 rooms come in all shapes and sizes from snug and classic to estate & manor; yet all of them feature crisp Egyptian cotton sheets, rainforest showers, luxury bath products, tea and coffee facilities and free wifi. 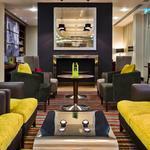 There are also five dog-friendly rooms on the ground floor. As is the case in many old rustic properties, I find myself making allowances for the odd cracked wall, creaky floorboard and low ceiling. Perhaps a dodgy looking piece of furniture and a tricky drawer or two and that’s the certainly the case here. But I find its all part of the old world charm. Literally adjacent to the Inn is Bramshaw Golf Club also owned and run by the family. 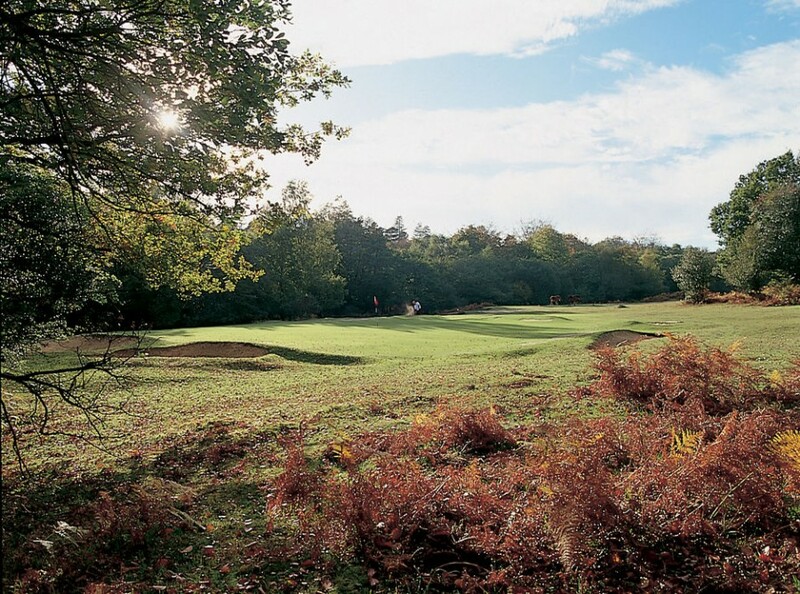 It offers two courses; the Forest Course said to be the oldest course in Hampshire dating back to 1865. 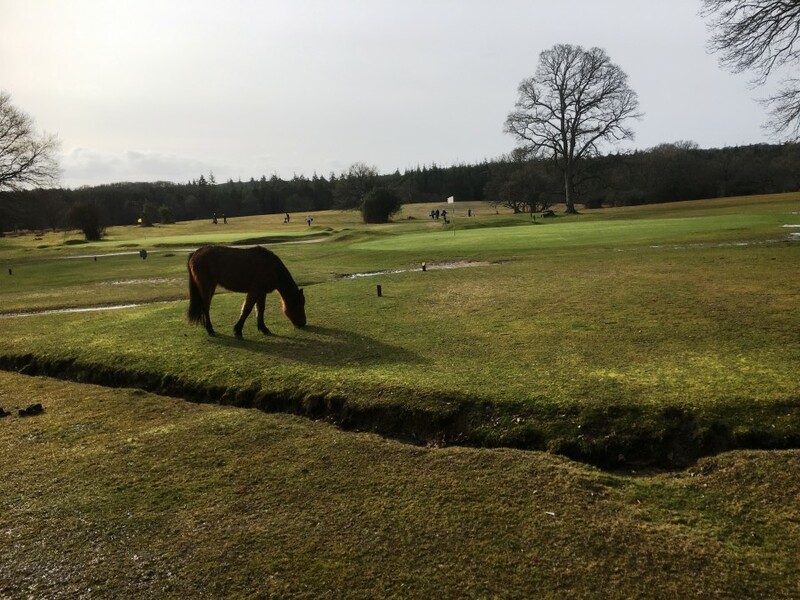 It’s a beautiful 5,757-yard par 69 track cutting its way through the iconic features of the New Forest; hills and valleys, streams, bracken, heather and towering trees and, best of all, free-roaming ponies and deer. Just as well really, as mowing the fairways is not permitted – just tees and greens. The wildlife tends to the bits in-between which they do brilliantly; fairways by livestock. Who knew it could be so good. The Manor Course is a more recent addition from 1971; a manicured parkland course of 6,400 yards par 71. Its wide open spaces perhaps offer a more generous outcome to errant shots than the Forest but still a lengthy test in spite of that. 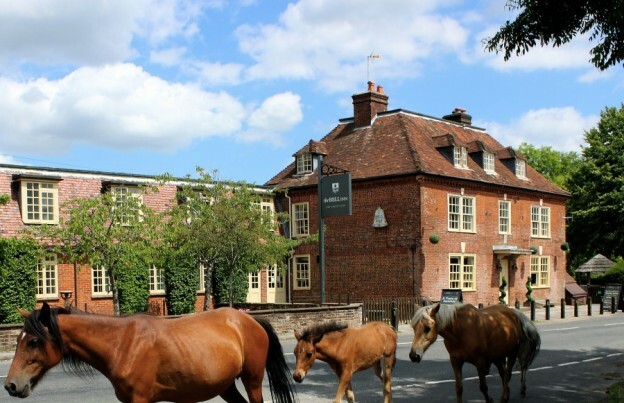 The Bell Inn provides guests with a bespoke map of recommended nearby walking and cycling trails varying in length and difficulty, and conveniently offer a picnic lunch too. Very handy if you wander off-piste and need provisions to keep up your spirits, after all, the New Forest is the largest spread of heathland in the world! Talking of provisions, my 2 AA rosette dinner last night proved to be an epic culinary adventure. Under the watchful eye of head chef Mark Young, the menus were almost exclusively sourced by local suppliers or foraged from the forest. Right from the off it was a choice challenge. Amongst an array of possibilities, the fresh spicy butternut squash soup (£6.50) or Chicken & chorizo croquettes (£7) with smoked paprika and tomato purée, basil oil and parmesan foam got my attention. The croquettes won and didn’t disappoint. 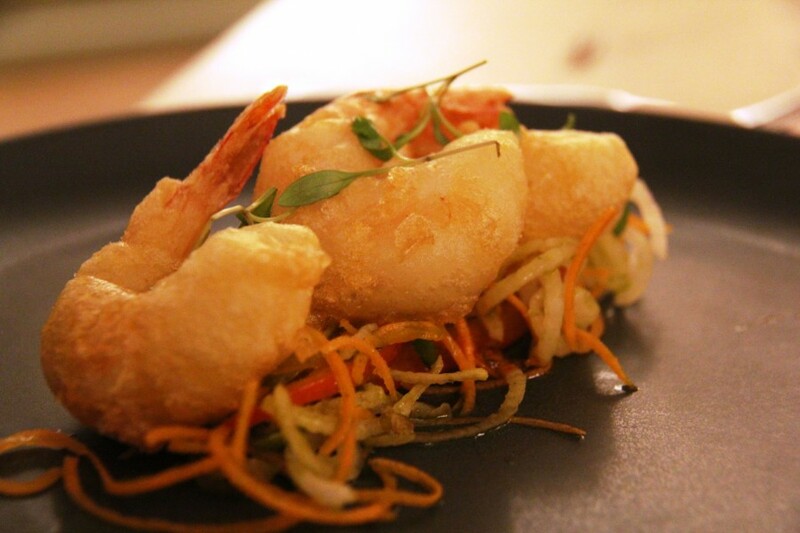 My wife was equally impressed with the tempura prawns (£7) on a bed of Asian salad and sweet chilli jam. This was just the precursor however to a truly heroic pair of main courses. Fennel seed, rosemary & black pepper crusted 40 day aged sirloin of New Forest beef (£28) with oxtail and shin Mac and cheese, watercress puree, crispy shallots and a marrowbone jus. Just for the hell of it, I added some garlic mash and green beans in a shallot sauce (both £4). Beautifully presented and utterly fabulous. 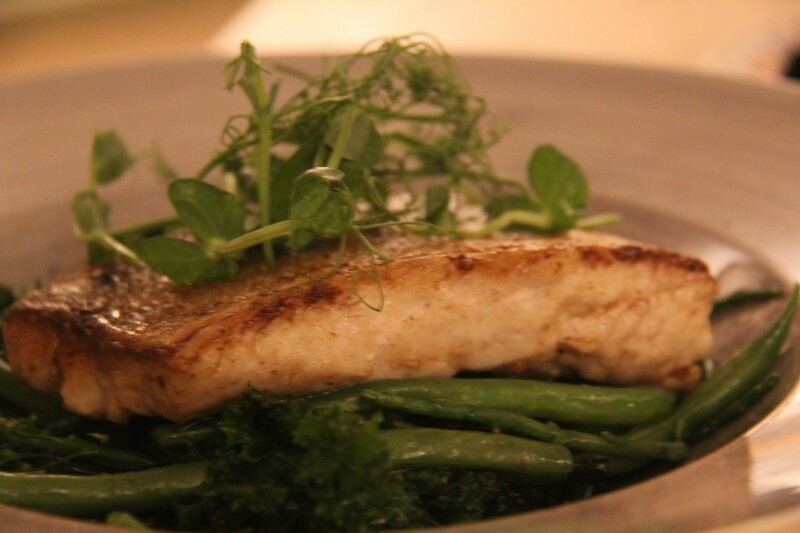 Not to be outdone my wife ordered the catch of the day, a perfectly cooked hake on a bed of crunchy seasonal greens (£16). It was the ideal way to finish off a day’s walking; a great dinner and collapsing into a nearby settee to recover. Back in the bar now and Barry is giving me the evil eye. It seems I’m sitting in his chair and he’s got his pint ready. I’d better be going then. 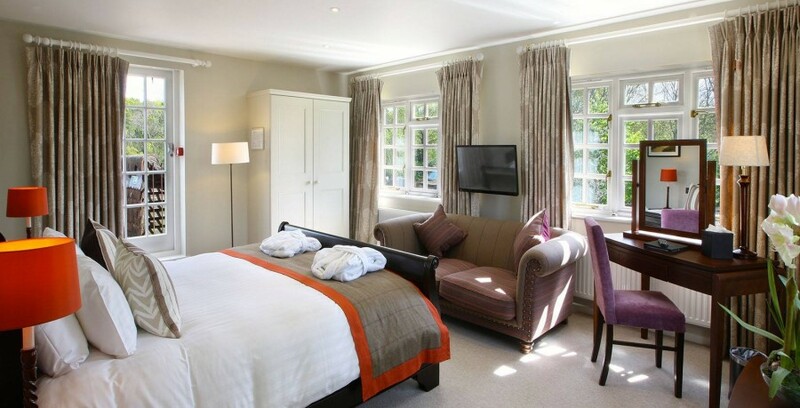 Rooms from £89 pp Bed and Breakfast. 1 night, dinner, bed & breakfast with 2 rounds of golf. Based on 2 people sharing a classic room, with supplements for upgrades. 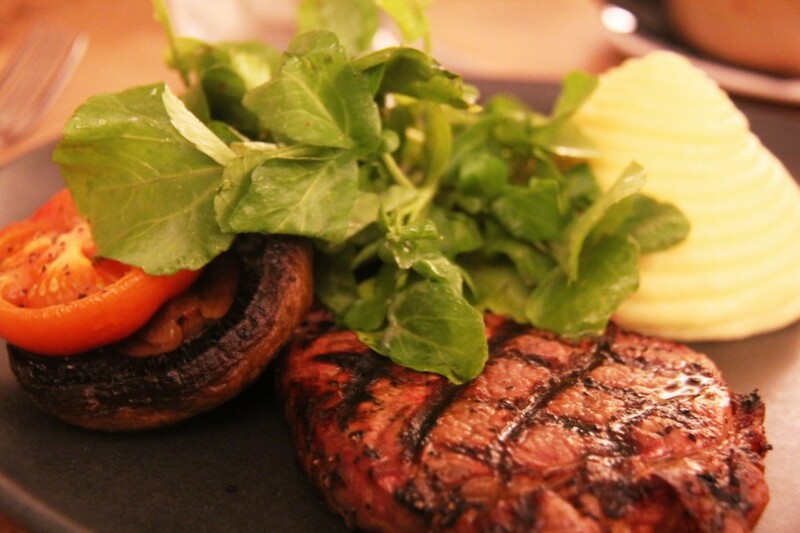 Dinner allowance £28 pp, groups of 8 or more dine from the golfers set menu. 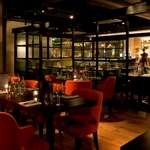 To make your booking please call us or email us on contact@bramshaw.co.uk.